Early in the 16th century, Spain established a rich colonial empire in the New World. 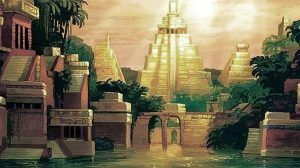 From Mexico to Peru, gold poured into her treasury and new lands were opened for settlement. The northern frontier lay only a few hundred miles north of Mexico City, and beyond that was a land unknown. Tales of unimaginable riches in this land had fired the Spanish imagination ever since the Spanish arrival in the “New World”. 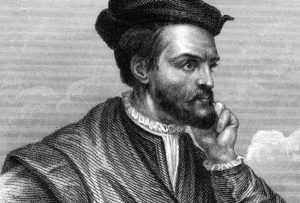 They lured Hernando Cortéz to Mexico in 1519, followed shortly thereafter by Parfilo de Narváez to Florida and Francisco Pizarro to Peru. Many expeditions ended in failure, but there were enough successes to keep alive the dream that great wealth lay within the grasp of anyone with the opportunity to seize it. Though Fray Marcos’ report was garbled and exaggerated, Viceroy Mendoza was convinced of the cities’ existence. He promptly began planning an official expedition and chose his close friend, Francisco Vásquez de Coronado, to lead it. Coronado had come to Mexico in 1535 and through his friendship with the viceroy and past successful missions, rapidly rose in status. After serving as a prominent member of the Mexico City council, he was appointed governor of the northern frontier province of New Galicia. On January 6, 1540, Mendoza commissioned him expedition commander and captain-general of all the lands he might discover and claim for Spain. The viceroy, however, counseled Coronado prior to his departure and cautioned him that the quest was to be a missionary undertaking, not one of military conquest. Quickly organized, the expedition left Compostela, on Mexico’s west coast, on February 23, 1540. Accompanying Coronado were Fray Marcos and several other priests, over 300 Spanish soldiers, several hundred Mexican-Indian allies, and 1,500 stock animals. 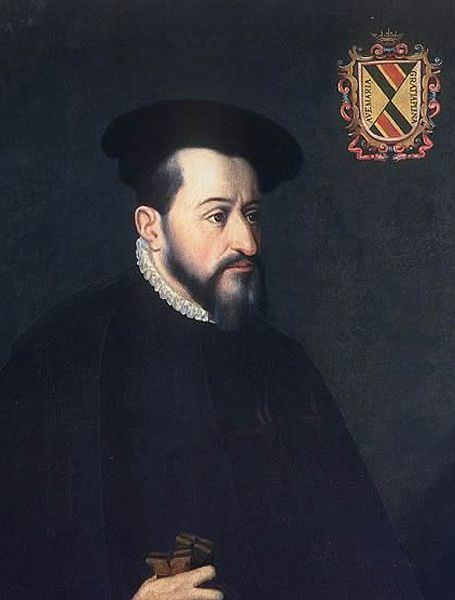 Additional supplies for the expedition were sent north by ship under the command of Captain Hernando de Alarcón. After reaching Culiacán, Coronado and 100 soldiers, anxious to behold Cibola, marched swiftly ahead of the slower-moving main army. On July 7, 1540, they arrived at Háwikuh, south of present-day Gallup, New Mexico, and first of the fabled Cities of Cibola. But a major disappointment awaited the Spaniards. Instead of a golden city, they saw only a rock-masonry pueblo occupied by Indians who were prepared to defend their village. After several unsuccessful attempts at a peaceful negotiation, the Spaniards attacked and forced the Indians to abandon the village. The pueblo, well-stocked with much-needed food, became Coronado’s headquarters through November. Fray Marcos, whose tales had raised so many hopes of wealth and fortune, was ordered back to Mexico City amidst a rising tide of anger and bitter resentment. While at Háwikuh, Coronado sent his captains out to explore the surrounding region. 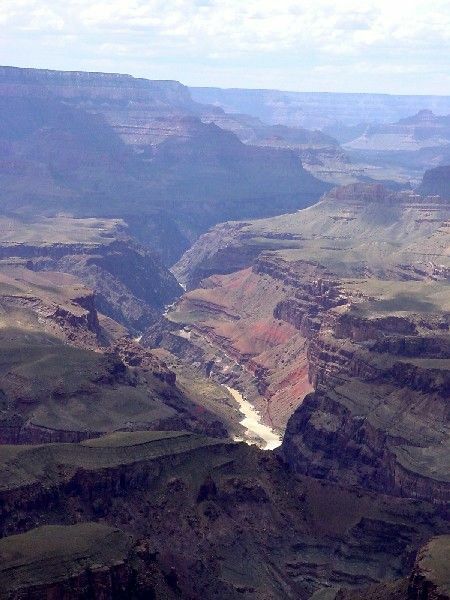 Don Pedro de Tovar and his troops reached the Hopi Indian villages in northeastern Arizona while Garcia López de Cárdenas and his men traveled as far west as the Grand Canyon of the Colorado River. A third captain, Hernando de Alvarado marched eastward past Acoma and Tiguex pueblos to Cicuye (Pecos) pueblo, near modern-day Santa Fe. 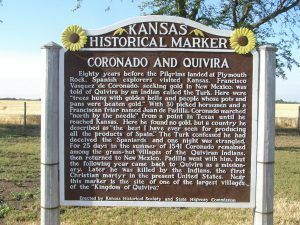 It was here that they met “The Turk,” a Plains Indian who astounded them with his tales of an unbelievably rich land further to the east, called Quivira. The Turk’s stories renewed hopes among the Spaniards of finding the great wealth that had thus far eluded them, however, with winter approaching, further exploration had to wait until spring. The army wintered at Tiguex with the seemingly friendly inhabitants. However, the Indians’ mood soon turned to open hostility when violations of hospitality and friendship were committed by the Spaniards. A series of battles followed, resulting in the Spaniards killing the occupants of one pueblo and forcing the abandonment of several others. On April 23, 1541, the entire army set out for Quivira, guided by The Turk. After 40 long days of travel, Coronado sent most of his men back to Tiguex and continued marching northeast with a small detachment. Upon arriving at Quivira, near modern-day Salina, Kansas, they were disillusioned once again. The villages before them were nothing more than primitive grass huts. 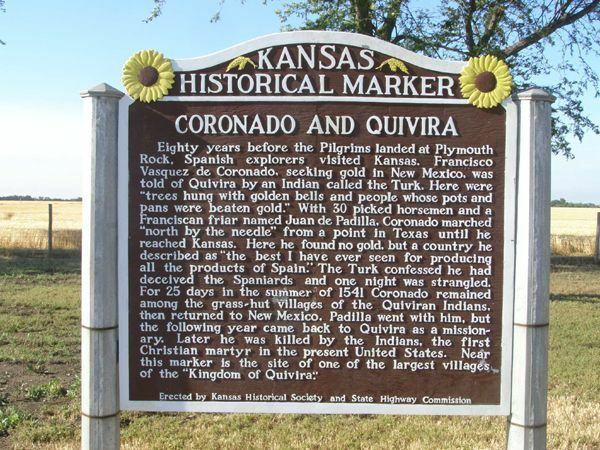 When pressed for an explanation, The Turk finally confessed that the story of Quivira was nothing more than a plot conceived by the Pueblo Indians to lure the Spaniards out onto the plains in hopes that they would become lost and eventually die of starvation. In furious anger at having been so gullible and so easily led astray, the soldiers executed The Turk. Coronado and his men soon after began their long grueling return march back home mired in bitter disappointment at having failed their mission. Coronado, his dreams of fame and fortune shattered, finally reached Mexico City in the spring of 1542. Although publicly scorned and discreditied, he again resumed his position of governor of New Galicia. He and his captains were subsequently called in to account for their actions during the quest, and it was four more years before Coronado succeeded in clearing his family’s name. Ten years after his return, at the age of 42, he died in relative obscurity. He could not know, however, that his courage had set the stage for the larger-than-life saga of the great American West. The Indians’ religions changed subtly to incorporate the teachings of the priests who accompanied him. 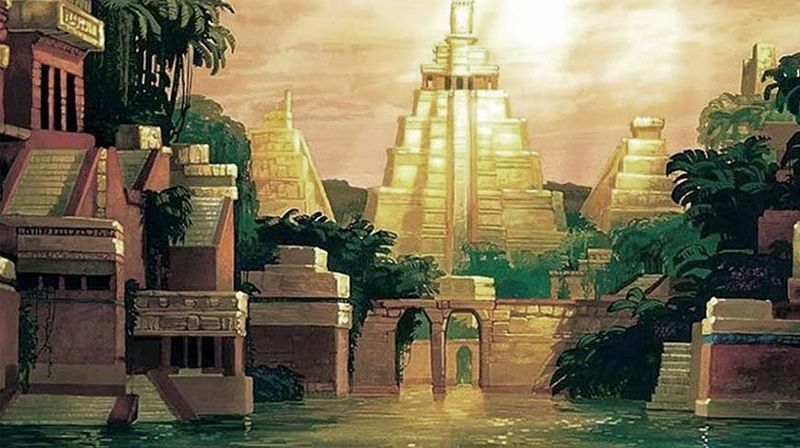 Furthermore, he brought back knowledge of the once mysterious land and people to the north and opened a way for later Spanish explorers and missionaries to colonize the Southwest, developing the distinctive Hispanic-American culture we know today. Compiled and edited by Kathy Weiser-Alexander, June 2018.